Availability: This product is discontinued and no longer available for purchase. 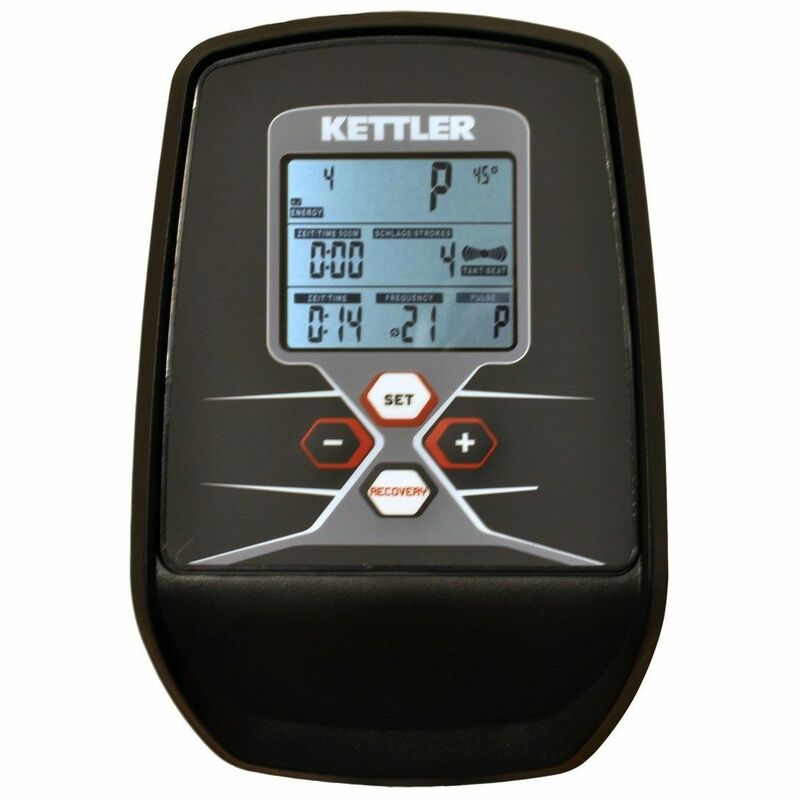 For alternatives browse our Kettler department. 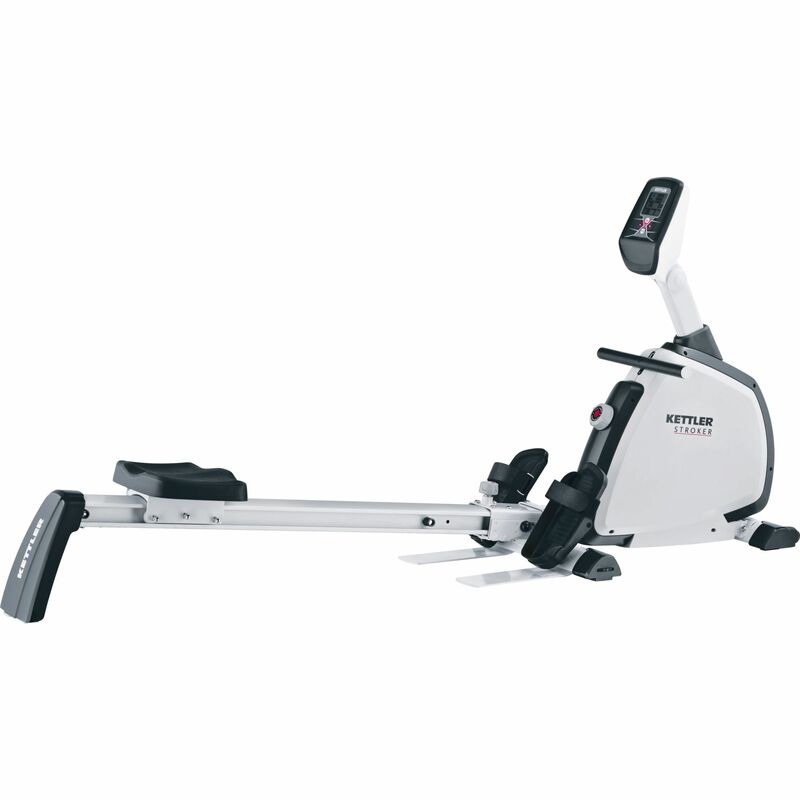 The Kettler Stroker rowing machine offers a single handle rowing style and comes with a 4kg (8.8lbs) flywheel for smooth operation. The machine features 8 levels of manual magnetic resistance to ensure greater workout versatility and is fitted with an LCD monitor display. The console is equipped with a sweat resistant key pad and provides continuous feedback on 5 workout statistics, and additonally the accumulated distance covered. The Stroker utilises pivoting footplates with adjustable foot straps and is supplied with wheels for easy transportation. Our third rower, last one didn't last a year before the bad design made us look for a replacement. Have owned Kettler products in the past and so knew the brand was well designed and built. This rower was heavily discounted so brought it into our price range - easy to build - just follow the drawings - exceptionally well made, good solid machine will last for years. Seat is comfortable and rolls well, the tension is great, we were on the last setting of the last rower and struggled to break into a sweat - now on tension 3 of 8 - so plenty to go at. My only gripe is the computer - there is no backlight, so very difficult to see the display - also it is placed high so blocks the field of vision ( I like to look out of the window - all I can see is the dark screen. But apart from this an excellent machine and I am pleased with the purchase. Fairly easy to assemble. It easy to keep feet in the foot holes! This is a great rower. Having only used ones in the gym I wasn’t sure what to expect but this is a solid piece of home equipment that provides a solid workout. It’s also so quiet which is perfect for home use. This is the second Kettler product I have purchased and it has not disappointed. Build quality is excellent. Assembly instructions take a bit of studying but I put it together in an hour. Functions well and it will be a long time before I run out of resistance settings. I bought the Kettler Stroker having had very little experience of rowing machines, but did a bit of research & asked Oskar's (Sales) advice before purchasing. Having gone through others' reviews on Amazon and elsewhere, the weight of evidence and recommendation seemed to be on the side of this model and I purchased a few months' ago. Assembly was a fairly easy (possibly 60-90 minutes for one person), but the instructions are clear and the labelling is of the parts is excellent (the bits are packaged so that you can just take the parts you need for one stage at a time). The machine is fairly heavy once assembled, but can be moved quite easily with the wheels/castors on the underside of the main unit. I leave the machine permanently assembled but fold when not in use. The resistance is set manually and I tend to just use the resistance number and the timer to gauge how hard a workout I want. The magnetic resistance is strong and certainly matches my limited experience of fully-fledged gym equipment. The resistance goes up to 8 and I find 3-5 a decent workout over 20 minutes, so there is scope for harder workouts if needed. Wife uses setting 2 & finds 3 difficult to maintain for 10min If you do want to make more use of the computer, there are options for time, frequency, pulse, and distance but lacks being backlit; my only major gripe. The straps for your feet are very secure and the foot-rests pivot well with motion. The action on pull-cord is smooth and noiseless at all levels of resistance. Overall, the machine exceeded my expectations and the Kettler and is solidly built. I'd be more than happy to buy this product again but look forward to many years' use. 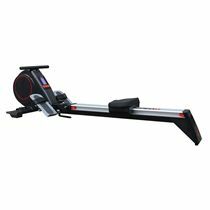 I bought ths rowing machine as it quieter, smaller and easier to set up than the others that I looked at online, however there is a major design flaw which means I cannot recommend this machine to others. It was fairly easy to put together out of the box, although it would be easier with 2 people as the instructions were less than ideal, so lots of referring back to the instructions to ensure you've got it right. It doesn't take up much room when not in use and it is very quick to prepare to row on it (less than 10 seconds) and it is quiet to use with a nice smooth action with a constant pull on the cable as you row. The computer is fine if a little hard to read at times but I do not really use it apart from the stroke count and timing my rows. Now I come to the design flaw, the design used means that the nylon cord rubs against itself as it winds round the drum on each stroke causing it to fray. I wore out the first cord after just 3 months (using it every day for 30 mins) and the replacement was no better despite using a lubricant as advised by the engineer who replaced the first cord. It is such a shame as without this flaw the machine would be an good home rowing machine. I purchased the Kettler Stroker to strengthen my back muscles and to improve fitness performance. Machine is extremely solid, stable and easy to put together. At the beginning seat movement caused some noise but stopped after few rides. Good value for money. I love quiet and smooth operation provided by the Stroker rowing machine. I use it 4 times a week using the ‘quick start’ option and try to increase resistance every 15 minutes. Its resistance range guarantees a good, challenging workout, while the rower’s design makes it comfortable to use. Kettler was a good choice. for submitting product review about Kettler Stroker Rowing Machine.